This entry was posted in Editorial and tagged HTML, Instructional, Meebo, Pictures, Thickbox, Tutorial, WordPress, WordPress tip, WordPress.com. Bookmark the permalink. Thank you very much for that wonderful blog post. A small update to this article. 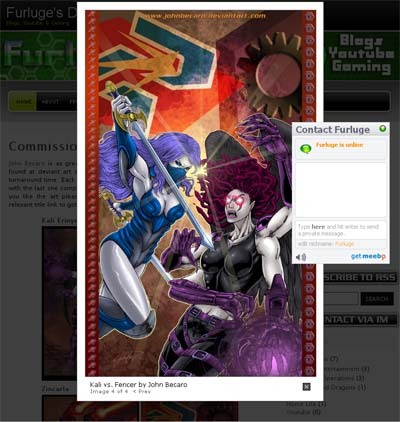 Recently WordPress added the ability to use an image widget instead of a text widget to insert images into the sidebar. However, this will not work for this particular application because you cannot add the class=”thickbox” entry required for meebome widget to appear in a thickbox.